Refrigerated Containers are used to transport perishable products like produce, meat and fish, and other temperature-sensitive cargo. 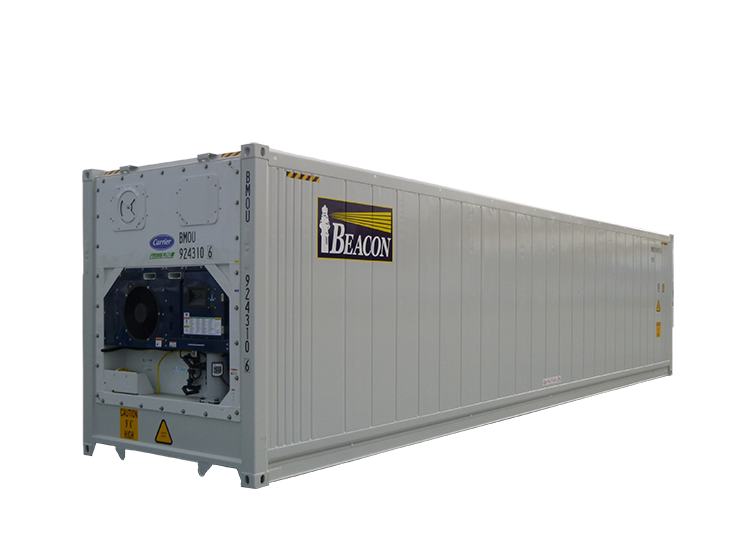 Beacon’s fleet consists primarily of 20’ standard and 40’ high-cube refrigerated containers. Our reefer fleet is one of the youngest in the industry and is powered by Carrier, Daikin, StarCool and ThermoKing machinery. Beacon’s reefers are backed by a comprehensive manufacturer warranty program.